Amazon.com description: Product Description: From the bestselling author ofÂ Charlie and the Chocolate FactoryÂ andÂ The BFG! About: Matilda applies her untapped mental powers to rid the school of the evil, child-hating headmistress, Miss Trunchbull, and restore her nice teacher, Miss Honey, to financial security. About: Matilda is a precocious five-year-old who has read Dickens and is a math whiz. About: Matilda is the charming story of a very unusual little girl, Matilda, who despite having two very horrible parents, learns how to read by the age of three. About: Matilda invents a game of punishing her parents when they treat her badly. About: Matilda est une petite fille trÃ¨s intelligente. About: Una niÃ±ita genio devoralibros con asombrosos y divertidos poderes. About: Matilda uses her talents and ingenuity to seek revenge on her father, mother, and the terrifying Miss Trunchbull, her wicked headmistress, and save her beloved teacher, Miss Honey. About: The Wormwoods think their daughter, Matilda, is nothing better than a scab, to be flicked away at the earliest opportunity. About: Five-year old Matilda longs for her parents to be good and loving and understanding, but they are none of these things. About: For most kids, The Trunchbull is pure terror, but for Matilda, shes a sitting duck. About: Matilda is a very clever, very special little girl with stupid, awful parents who don't appreciate that their daughter is a genius. This edition also contains Rethinking Schools: Improved Educational Outcomes for All? About: Matilda is an exceptional girl, but her parents think she is just a nuisance. 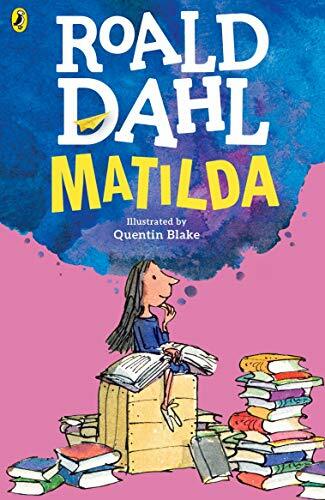 About: Matilda, a brilliant, sensitive little girl, uses her talents and ingenuity to seek revenge on her crooked father, lazy mother, and the terrifying Miss Trunchbull, her wicked headmistress, and save her beloved teacher, Miss Honey. About: Matilda, a brilliant, sensitive little girl, uses her talents and ingenuity to seek revenge on her crooked father, lazy mother, and the terrifying Miss Trunchbull, her wicked headmistress. About: Matilda's parents have called her some terrible things, but the truth is she's a genius and they're the stupid ones.